•	Roger Federer beat British number one Kyle Edmund to reach the quarter-finals at Indian Wells. 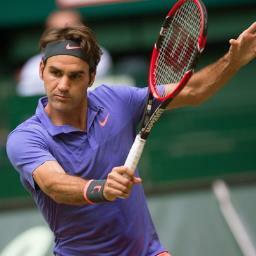 •	The Swiss, a five-time champion in California, eased past Edmund 6-1, 6-4 in just over an hour. •	World number four Federer, who has yet to drop a set at the tournament, saved all seven break points that he faced and won 79 per cent of first serve points. •	Second seed Rafael Nadal also reached the last eight with a straightforward 6-3, 6-4 victory over Filip Krajinovic. •	The Spaniard will play Karen Khachanov next following the Russian`s 6-4, 7-6 win over John Isner. •	Bangladesh and host Nepal have entered the semi-finals of 5th South Asian Football Federation, SAFF Women`s Championship. •	Bangladesh defeated Bhutan by 2-0. The first half of the match was goalless. •	Bangladesh and Nepal have qualified for last four from Group A. Both the teams won their matches against Bhutan. •	They will now clash in the last match of the group. •	In Group B, Sri Lanka will take on the Maldives while Defending Champion India will play against Sri Lanka. •	India had thrashed the Maldives by 6-0 in its opening match. •	India has unbeaten record in SAFF championship and it has won the trophy four times. •	India will host the Under-17 Women`s Football World Cup in 2020. •	This was announced by the President of International Football Federation (FIFA) Gianni Infantino after the council meeting in Miami, USA last night. 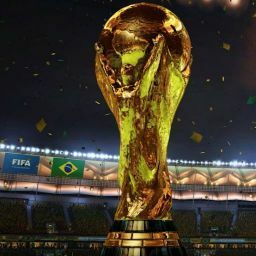 Infantino said, FIFA is delighted to announce that India has been confirmed as the host of the Women`s World Cup. •	This will be the second FIFA tournament India will be hosting, after the U-17 Men`s World Cup in 2017. •	Confirming the development, All India Football Federation General Secretary Kushal Das told PTI: "We are thankful to FIFA for giving the right to host the U-17 Women`s World Cup. This will raise the profile of women`s football in the country. •	The bidding process for the tournament started last year. France had also expressed interest to host the tournament. •	As host country, India automatically qualifies for the 16-team showpiece event. The six continental qualifying tournaments are yet to begin. •	Besides the U-17 Women`s World Cup, India had also expressed interest in hosting the U-20 Women`s World Cup. •	The U-17 women`s tournament began in 2008, when New Zealand hosted it. Spain are the current champions and they had beaten Mexico 2-1 in the final in Uruguay last year. The tournament in India will be the seventh edition. •	Asian teams are the most successful teams in the tournament, with North Korea (2008 and 2016) having won it twice while Japan (2014) and South Korea (2010) had won it once each. •	France (2012) and Spain (2018) are the only non-Asian teams to have won the tournament. 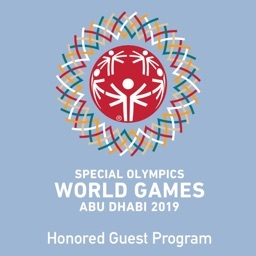 •	Special Olympics World Games 2019 began at Abu Dhabi, United Arab Emirates (UAE) on 14th Match 2019 and made history by welcoming a record-breaking 200 nations at the Games. •	The Indian contingent was the second largest after the host UAE and marched proudly holding the tricolour. •	The event is being held in the Middle East for the first time and 7,500 athletes will take part in 24 Olympic-style sports over seven days. •	Nine venues in Abu Dhabi and Dubai will accommodate 500,000 spectators, 1,500 officials will referee the Games, while 3,000 coaches will assist the athletes. •	For the first time, 200 nations are being represented at the World Games, 195 participating and 5 observing.